You have chosen to earn a living (make money) by being a farmer, one of the most, if not the most, challenging jobs. Challenging due to for instance, pressure from consumer groups to farm eco-friendly and to deliver products of higher quality, pressure from labour-unions regarding working conditions, an uncertain political environment, uncertainty about land ownership, the cost-price squeeze, to name but a few. You may ask: ‘What about the weather?’ A valid question. The latest World Risk Report released by The World Economic Forum, identifies weather and climatic related incidents as the greatest world risk at present. In South Africa some areas have experienced a dry year/s, followed by a season of good rains to be followed this season by erratic and late rains. The predictions are that South Africa will experience greater variability in rainfall and rise in temperatures in the future. Another, major challenge that we tend to disregard is the increase of the world population. The predictions are that production will have to double in the future to feed everybody. And, remember this will have to be done whilst less land will be available for agricultural production. Farmers are already forced to produce more from less. To be able to do this the emphasis will be on efficiency. You will have to produce more maize or wheat or milk or wool or meat per hectare which is the aim of precision farming where more detailed information is used during the production process. It is the only way to counter the cost-prize squeeze and feed the ever-growing population. Thus, without fear of contradiction, to be a successful farm business manager you must manage your business properly. This is the position regardless of the size of your business. To manage properly implies that the four management tasks – planning, organising, implementing and control must be performed properly. Each task receiving the necessary attention to keep the business running smoothly over time to achieve set objectives. Objectives such as making a profit, production per hectare, or whatever you have decided on. However, the fact of the matter is that planning must surely be the farmer’s most critical task since it is the foundation on which all his farming activities are based. 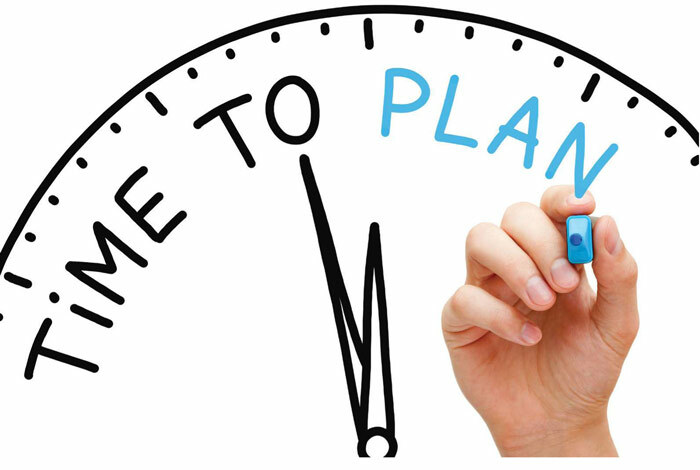 Planning can be described as the determination of future activities that are necessary to achieve the specific objectives of the business and then to express the activities in a physical plan and a financial plan – a budget. Broadly spoken a farm business manager has three major functions – to produce products, to market the products and to be financially successful. Todays farmers dare not leave anything to chance and need to plan every aspect of their operations in detail. To plan in much more detail than in the past is the emphasis of this article. Remember ‘you cannot manage what you cannot measure’ or another old saying ‘by failing to plan, you are planning to fail’. You will have to be more efficient regarding your management which begins with efficient planning by using more detail. To be more efficient regarding planning is to plan properly for each enterprise of your business separately. Start with a proper production management programme and a marketing plan for each enterprise and conclude with a proper budget for each enterprise. To say you have a plan – I plan to plant 200 ha crops the next year – could be seen as a plan. But, and that is a major but, it is just not enough of a plan for the latest challenges and risks of a farming business of today. Your plan must express for instance which crops you plan to plant, your aim regarding production per hectare and what price you plan to achieve. Plan your production costs – seed, fertiliser, chemicals, machinery costs, and many more. The more detail in your plan the better. One example – fertiliser – do you plan your fertiliser requirements and costs based on a fixed recipe or is it based on technical and scientific information obtained from the analysis of soil samples of your lands and information gathered from soil profiles. Finances underpin everything else and is arguably the most important consideration on which a farms future depends. All achievements, successes, losses and failures are all eventually expressed in financial terms (Rand and cents). Without a proper detailed plan and a budget, it is very difficult to uncover any loss or failure in time to rectify. Therefore, if you wish to be a successful farmer you must plan to be a successful farmer. Pay more attention to your planning efforts. Plan in more detail and even have a Plan B or even a Plan C. Thus, plan for a normal year but also plan for the more serious risks you might experience. Then organise, implement and control according to the plan that will be applicable.